Ph.D., University of Toronto, Molecular Genetics, 1993. B.Sc., York University, Biology, 1987. We are interested in understanding how the neuroepithelium becomes organized along its anterior-posterior axis to form the segmental subdivisions of the brain. Our lab has elucidated the role of Hox cofactors and retinoic acid degrading enzymes in setting up this segmental pattern and of Eph-ephrin signaling in maintaining lineage restriction across the resulting neuromeric boundaries. Our work on Eph-ephrin signaling led us to recognize the particular importance of neuromere boundaries in preventing cell mixing that would otherwise occur as a result of cell division. Cell division is intimately tied to the morphogenesis of the Zebrafish neural tube. In fish, the neural tube forms secondarily, after the infolding of the neural plate into a neural keel in which the left and right sides of the epithelium contact one another at the presumptive midline. We found that correctly oriented cell division at this stage regulated by the cell polarity protein Scribble is critical determinant of neuroepithelial morphogenesis. Recently we have discovered an unexpected role for Hox genes in regulating oriented cell division in specific anterior-posterior domains in the neuroepithelium and we are working to discover how regionally restricted transcription factor expression locally regulate morphogenetic cell behaviors that occur throughout the neuroepithelium. A current focus in the lab is on the most dramatic neuromeric boundary in the brain, which separates the tectum (midbrain) from the cerebellum (hindbrain) via a narrow isthmus. The cells at this boundary form an important signaling center in early brain development that is responsible for the specification and patterning of the cerebellum and tectum, and both its organizer properties and the events leading to its establishment are well understood. In contrast rather little is known about the morphogenetic events underlying the formation of the isthmic constriction, or about the mechanism that prevents cells on either side of the boundary from mixing with one another (lineage restriction). The zebrafish is an ideal model in which to address these questions because we can image both processes at cellular resolution in live embryos during their first day of life. We can visualize the isthmic constriction as it forms and we have identified genes that are expressed specifically in the cells whose shape changes underlie its morphogenesis (see figure). Using transgenic zebrafish we are now exploring the specification and function of these cells in the morphogenetic process. With the goal of identifying the cell surface proteins that mediate lineage re-striction across the MHB, we have used RNA-Seq to identify targets of the transcription factors that control cell identity on either side of the boundary. We can visualize cell sorting across the boundary (a hallmark of lineage restriction) in live chimeric embryos and we are currently testing differentially expressed candidate cell-surface proteins that mediate sorting behaviors. Biomedical significance: Human cerebellar malformation disorders are a large and varied group whose classification is evolving as the underlying genetic causes are being discovered. In many cerebellar malformations the genetic basis, if any, is unknown, but the phenotype is consistent with early patterning defects. We anticipate that defects in the morphogenesis of the isthmic constriction or breach of midbrain-hindbrain lineage restriction boundary will have consequences for cerebellar morphogenesis and histogenesis that are related to human cerebellar malformations. This work is supported by the University of Washington Developmental Biology Training grant (C.K.). Most neurons in the vertebrate brain are “foreign born” – that is, they were born in one location, typically at a ventricular surface, and then migrated to the place where they made their synaptic connections and carried out their specialized functions. Neuronal migrations can be radial (from the inside of the brain towards the outer surface) or tangential, within the plane of the surrounding neuroepithelium. We performed a forward genetic screen for mutants in which the stereotyped tangential migration of the motor neurons of the seventh (facial) cranial nerve failed to occur. These facial branchiomotor neurons (fbmns) normally migrate from hindbrain rhombomere 4 to rhombomere 6 (yellow neurons in the figure, which migrated from the red-labeled rhombomere 4; non-r4-derived motor neurons are green). Our screen identified multiple components of the planar cell polarity (PCP) pathway, a pathway that was originally discovered in flies, where it functions to polarize cells in the plane of an epithelium. We are using fbmn migration as a model in which to understand how PCP controls directed neuron migration in vivo. The PCP pathway has been implicated in a range of cell migrations and axon pathfinding processes in vertebrate and invertebrate model systems, all of which, like facial motor neuron migration, occur along the anterior-posterior axis. Thus PCP components may play a general role in the guidance of cells and subcellular processes along the anterior-posterior plane of epithelia. We have shown that PCP proteins are required both within the facial branchiomotor neurons and in their environment for normal migration. The migratory environment consists of neuroepithelial progenitor cells and floorplate cells which are themselves planar polarized along the anterior-posterior axis. We hypothesize that PCP signaling between the facial branchiomotor neurons and their planar polarized neuroepithelial environment directs their migration. We are currently taking a two-pronged approach to ask how PCP proteins influence the migratory behavior of the neurons themselves, and when and where PCP is required in the environment for normal neuron migration. 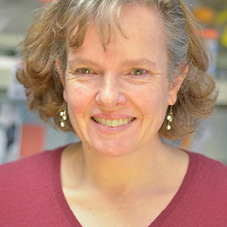 These experiments involve the ex vivo culturing and timelapse imaging of wildtype and mutant facial motor neurons, imaging of PCP-fluorescent fusion proteins in migrating neurons in vivo, and using the Gal4/UAS system and dominant negative proteins to block PCP signaling in a temporally and spatially regulated manner in fbmns and along their migratory path. Biomedical Significance: In recent years a central role for the Planar Cell Polarity (PCP) pathway in vertebrate nervous system development has emerged. Mutations in PCP core components are associated with spina bifida in humans, and PCP is required for the migration neurons and neuronal processes in a number of vertebrate and invertebrate contexts. Recently PCP signaling has been found to promote the motility and invasiveness of breast cancer cells in response to stromal signals. Our findings, both relating to the cell-autonomous requirement for PCP signaling in facial motor neuron motility and its role in the migratory environment will elucidate the cellular basis of PCP-mediated cell migrations in development and disease. This work is supported by the University of Washington Developmental Biology Training Grant (C.D. and A.W.M.). After neuroepithelial patterning and morphogenesis are complete and neurons have migrated to their functional destinations, neuronal processes contact one another to establish synaptic communication and form neural circuits. There are two kinds of synapses: chemical synapses transmit information indirectly, via the release of neurotransmitters, while electrical synapses transmit directly, via gap junction channels made of neuronal Connexin proteins. Synapse assembly is well studied in the case of chemical synapses but very little is known about the assembly of electrical synapses in spite of their ubiquity and their importance in brain function. We are addressing this question in the context of the zebrafish escape circuit in which a single pair of large interneurons, the Mauthner neurons, elicit a simple and well-characterized quantitative behavior, the escape response. Mauthner neurons lie bilaterally in hindbrain rhombomere 4, and much of their development and function is intimately tied to the segmental patterning of the hindbrain. The Mauthner axon transmits sensory information (touch and sound) from the head to spinal motor neurons on the contralateral side of the fish via chemical synapses, which evoke a rapid bend away from the stimulus. Additionally, Mauthner axons make electrical synapses with a single inhibitory CoLo neuron in each spinal cord hemisegment. CoLo then inhibits the activation of motor neurons on the opposite side of the body for a coherent, concerted turning response. The cells, axons, and synapses in the circuit are uniquely identifiable in the zebrafish using transgenic lines that mark the neurons and antibodies that recognize the synaptic proteins. Finally, the quantitative properties of the response that they elicit can be measured. We have performed a forward genetic screen to identify mutations that specifically disrupt the formation of Mauthner-CoLo electrical synapses, and we have recovered mutants with either too few or too many synapses. We have developed a new RNA-Seq approach for the rapid mapping and cloning of mutant genes identified in the screen. This powerful combination of tools will enable us to understand how genes control behavior at the level of the synapse, the neuron and the circuit. Biomedical Significance: While electrical synapses are beginning to be appreciated for their roles in shaping neural processing, the genetic mechanisms underlying their formation are not known. Electrical synapses can be rectified (i.e. one way), can exhibit activity-dependent plasticity, and form between specific members of neural circuits where they shape neural processing. Our screen will uncover the unique mechanisms by which electrical synapse components are trafficked and assembled to form a func-tional neural circuit. This work is supported by NIH R21 NS076950 and an F32 NS074839 to A.M. Since 2003 our lab has worked to enable high-quality science in the zebrafish model system by generating mutants in genes of importance to biomedical research. We gen-erated a large library of ENU-mutagenized, cryopreserved zebrafish that we have screened for deleterious mutations in specific genes requested by the community on an ongoing basis. Most recently we have been using Illumina sequencing of barcoded library “tranches” to identify mutations that appear once in ~576 alleles. The advent of 250 bp paired-end Illumina MiSeq reads makes this approach feasible without the need for amplicon fragmentation. Tranches containing putative deleterious mutations are deconvolved using high resolution melt analysis to identify the individual fish with the mutation, and the mutants is then recovered from the corresponding frozen sperm sample. Recently, we have been using TALENs to make mutants in genes if none were identified in our library by TILLING. Over the past five years we have generated loss-of-function mutations in over 80 genes and have distributed them in response to over 200 requests worldwide as well as submitting them to the Zebrafish International Resource Center (ZIRC). Our ongoing effort complements larger-scale but undirected mutant identification approaches being performed at the Sanger Center, and we continue generate mutants in requested genes in which mutants have not been identified in those screens upon request. Biomedical Significance: Zebrafish mutants have changed the landscape of biomedi-cal research by providing a resource for genetic tests of existing models and discovery of new molecules and mechanisms that operate during vertebrate development and disease. Since 2007, over 25 papers have been published describing TILLING mutants that were generated by this project. The breadth of these publications reflects the many uses of our model system, from the study of early embryonic patterning, myogenesis, angiogenesis, neural tube morphogenesis and patterning, cell migration, myelination, organ development, joint formation and germ cell development. Furthermore, our mu-tants have been used to model human diseases such as spinal motor atrophy, schizo-phrenia, Rett syndrome and Usher syndrome. This work is supported by a multi-PI NIH HD076585 with Dr. Lila Solnica-Krezel, Washington University St. Louis. NIH R01 HG002995: "Tilling the zebrafish genome: a reverse genetics approach", 2008 to 2011. Howard Hughes Medical Institute: Faculty Appointment, 2000 to . NIH R01 HD37909: "Genetic Mechanisms of Hindbrain Segmentation", 1999 to 2010. NSF IBN-9816905: Genetic Mechanisms of Hindbrain Segmentation in the Zebrafish, 1999 to 2002. Shah AN, Davey CF, Whitebirch AC, Miller AC, Moens CB. 2015. Rapid Reverse Genetic Screening Using CRISPR in Zebrafish.. Zebrafish.